Our 10 Color 60 psi Digital Boost Gauge is electronically driven and reads boost pressure from 0 to 60 PSI with incredible accuracy. A boost gauge is a must-have for any diesel truck that runs high boost pressure by displaying those vital levels to avoid over or under boosting which could lead to critical engine damage. 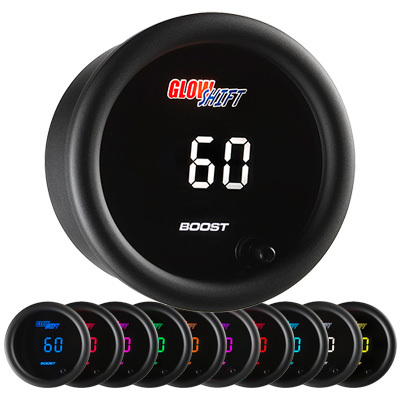 With the multi-color display that this gauge features, you will be sure to know what your boost pressure is! 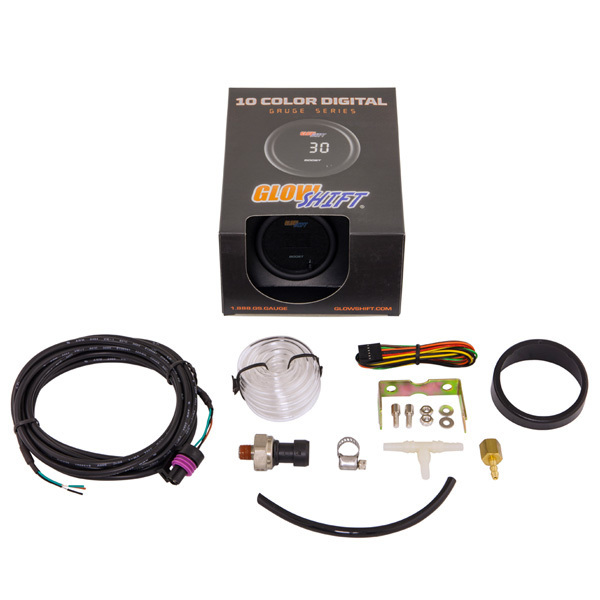 This diesel boost gauge includes a 1/8-27 NPT electronic boost pressure sensor, 9’ sensor harness, a 2’ power harness, gauge visor and mounting hardware for a complete installation.